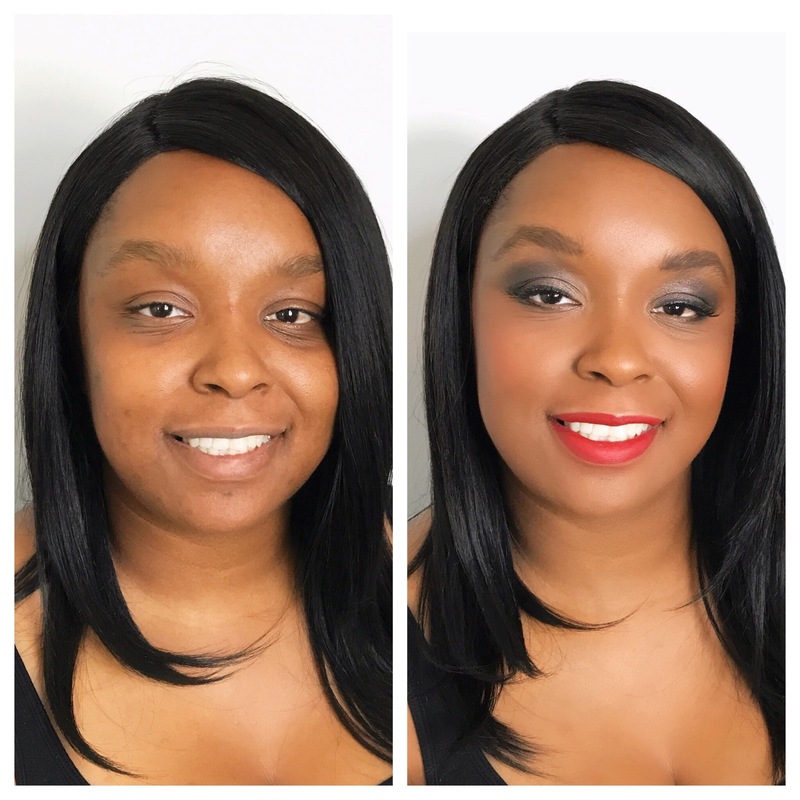 This beauty came to me to have her makeup professionally done for the first time for a special occasion …. husband was being honored with an award at his work! Lectoria was wearing a black dress with gold accents so we decided to go with a smokey eye topped with a bit of gold shimmer and bright lip to make her extra glam for the evening! I also added a set of lashes to give an even more dramatic effect. Details on look below.